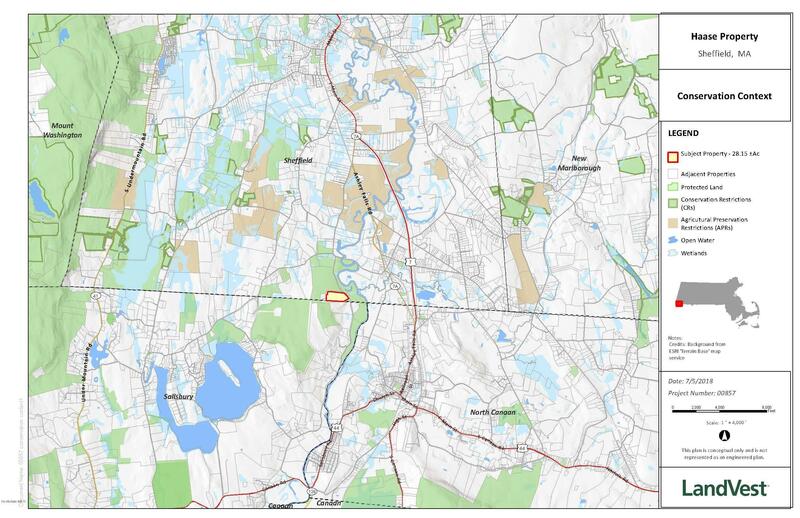 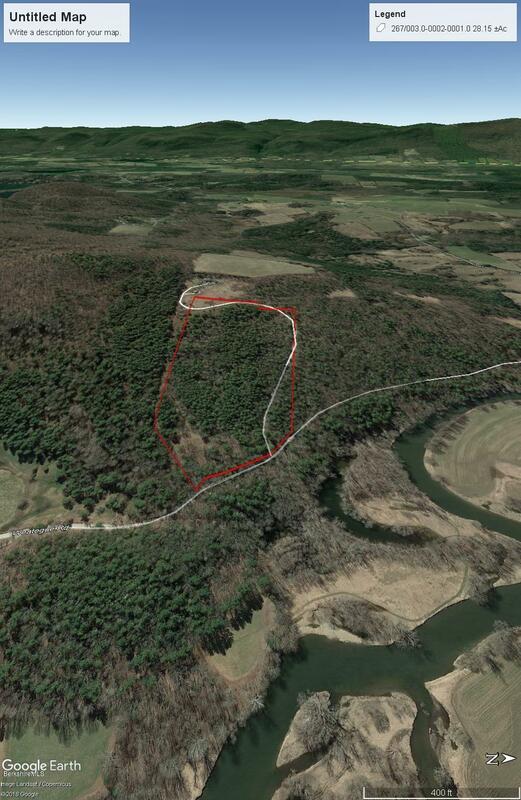 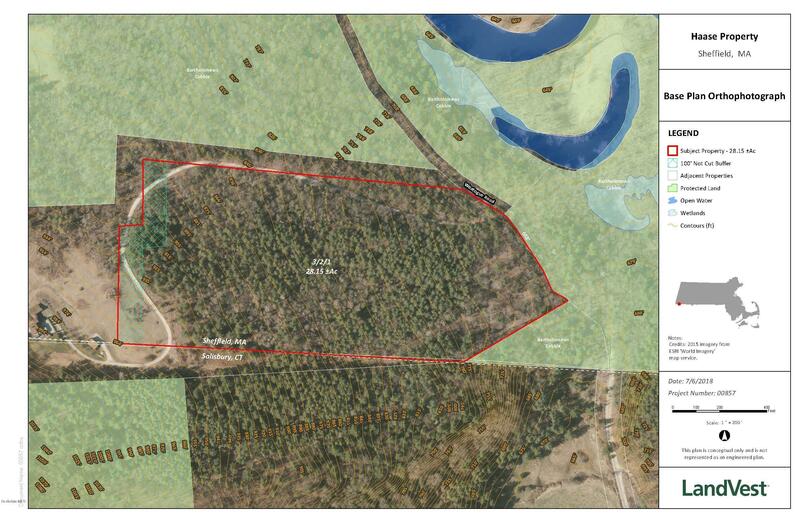 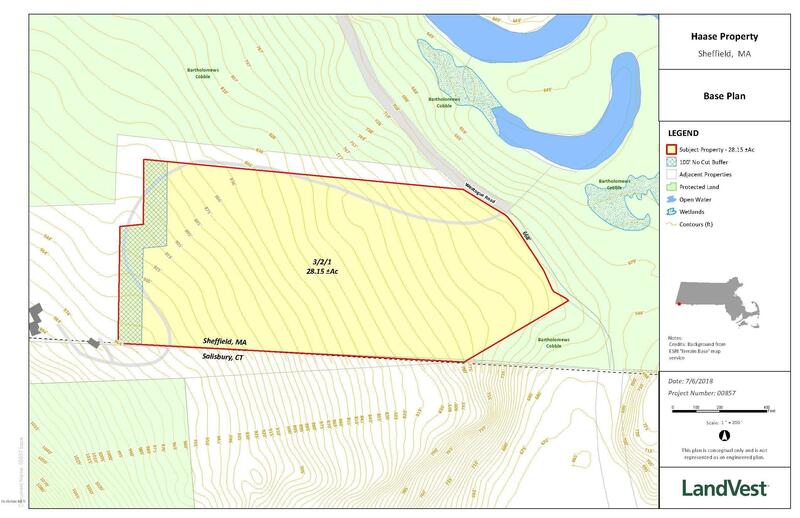 28.15 total forested acres with 668 feet of frontage along Weatogue Road. 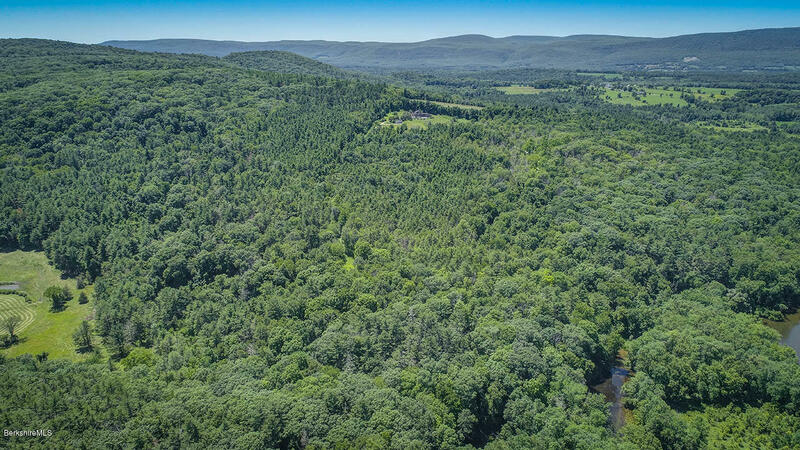 The property is nearly surrounded by the Trustees of Reservations Bartholomew's Cobble Reservation and is much the same type of landscape. 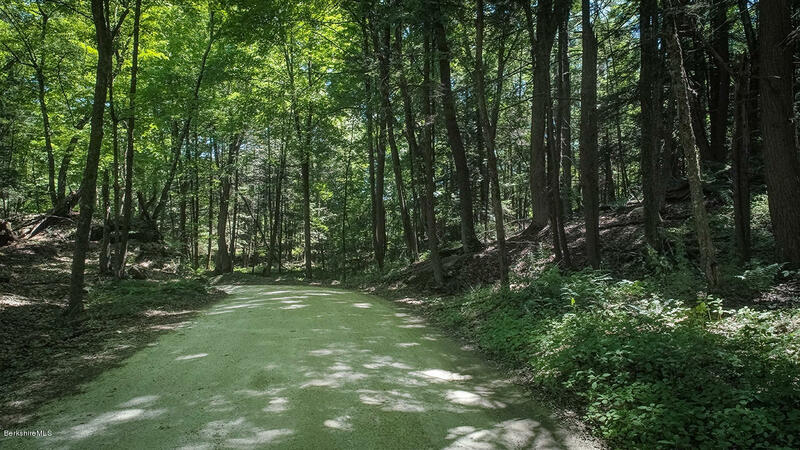 The cobbles are made up of mostly quartzite and marble with alkaline soil that supports a variety of unusual flora. 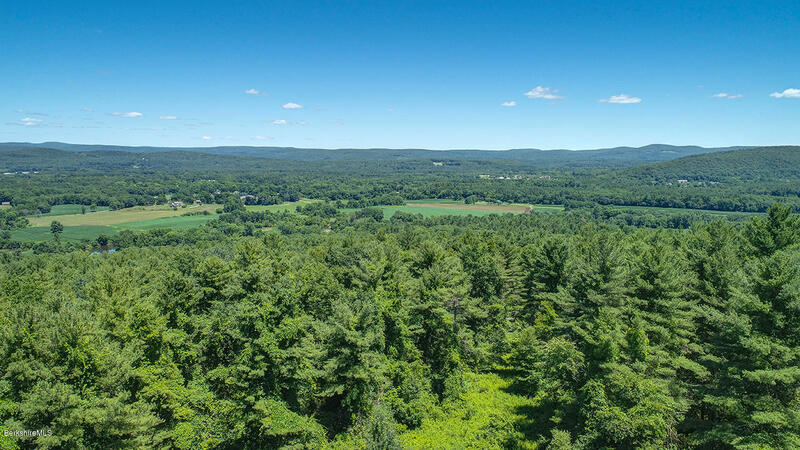 There are a number of hiking trails on the Trustees property that lead to terrific views. 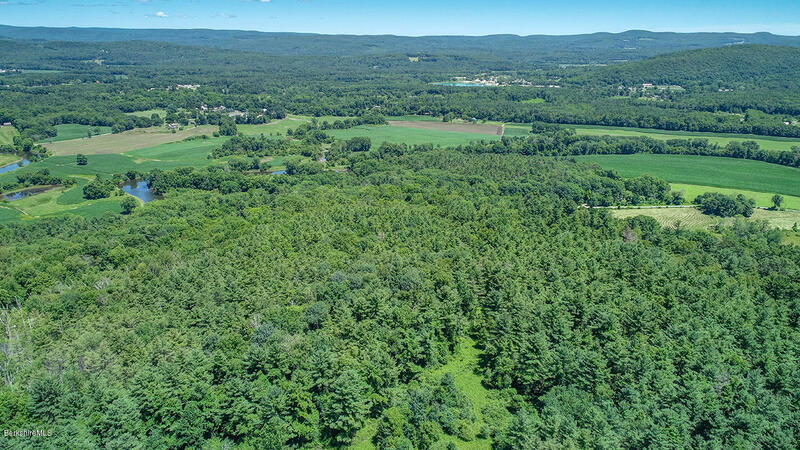 There is a driveway that provides excellent access to the property, and is shared with an abutter to the west of the offered property.